While there has been an abundance of bad news surrounding Daredevil, Marvel TV has released an official statement offering the Man Without Fear isn't done just yet. 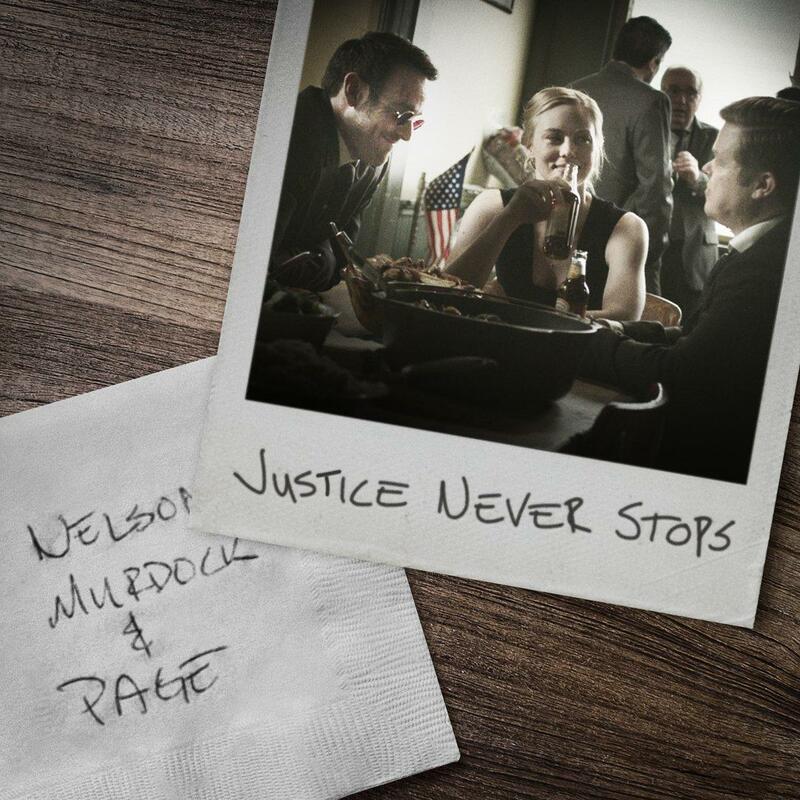 In a post on Marvel.com titled "An Update On Marvel's Daredevil," they included the image from their Twitter stating "Justice Never Stops" and "Nelson, Murdock & Page." The post also included a statement which says, "We look forward to more adventures with the Man without Fear in the future." Marvel is extremely grateful to the huge audience that loved Marvel's Daredevil. From the moment of young Matt’s first act of heroism to the birth of Page, Murdock, & Nelson, it has been a unbelievable journey. We are incredibly proud of the amazing showrunners and writers starting with Drew Goddard and Steven DeKnight, Marco Ramirez and Doug Petrie and Erik Oleson, Charlie Cox, Deborah Ann Woll, Elden Henson, Vincent D'Onofrio and our casts who brought our characters to life with such excellence, and every one of the fantastic crews in NYC. We look forward to more adventures with the Man without Fear in the future. Now regarding "more adventures with the Man Without Fear in the future," it could be possible that it means Daredevil will make an appearance in the upcoming seasons of Jessica Jones and Punisher, which will be shown on Netflix (and are likely their last as well). Netflix's statement also offered, "...the Daredevil character will live on in future projects for Marvel." But what is unclear, is if that means a new version of Daredevil, as Netflix might own the rights to the Charlie Cox version, as their statement also said, "...the three existing seasons will remain on the service for years to come." In addition, a reporter for Rolling Stone offered that the characters could come back, but would need to be rebooted. Maybe down the road, Daredevil will finally make his MCU debut, but it sounds like it may take years if DD is going to be played by Charlie Cox, as apparently, the Netflix rights need to expire first.